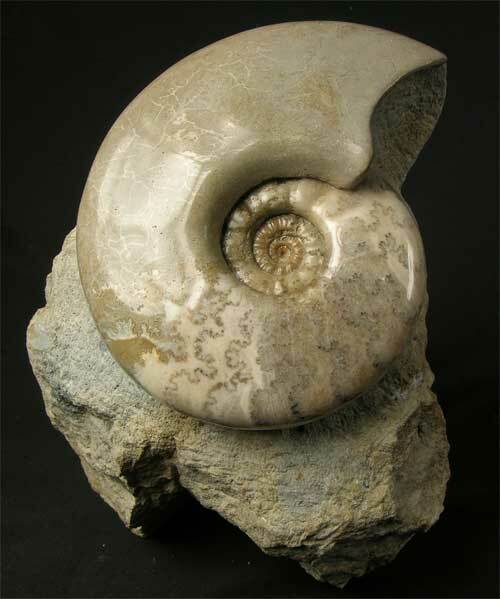 A beautiful solid calcite ammonite which has had the outer shell removed, then ground gem smooth and a high polish applied to reveal the ammonites wonderful sutures. 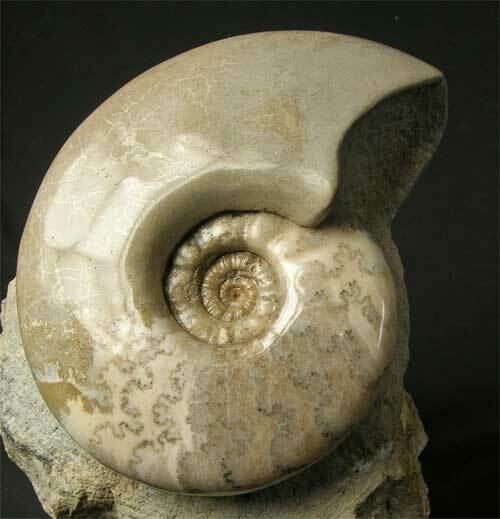 These particular ammonites are difficult to obtain as this temporary exposure was filled in over 10 years ago. 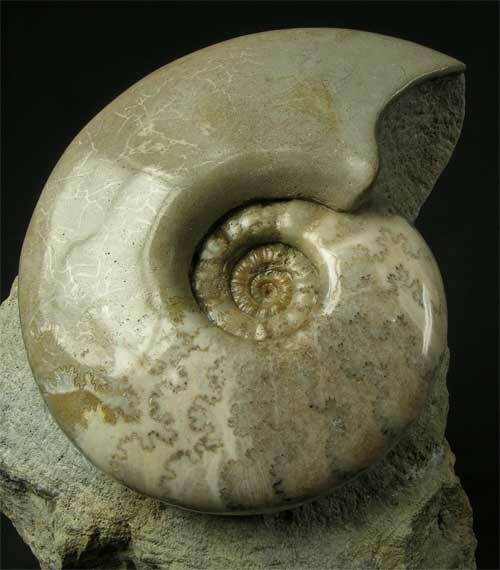 Many hours of preparation has gone into this fossil to achieve this finish. 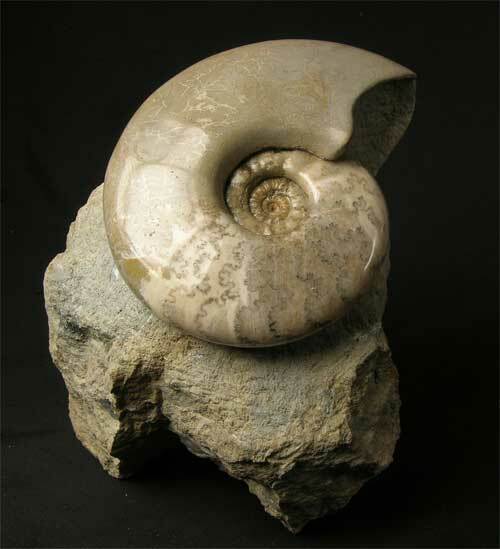 The ammonite would grace any office or home space for a totally unique item. Approximately 170 million years old. Becoming scarse.